Happy Easter! I hope you all had a wonderful day with family and friends! This is part 2 of my weekly favorite products review. You can read part 1 here. I have been testing and loving so many great products this week that I had to add a second post! I have been loving a gentle shampoo, fresh bath and body products, a renewing skincare collection, and great new brow products! Philip B. Lavender Hair and Body Shampoo ($30 USD, 7.4 fl. oz) — Gentle, sulfate-free cleanser protects and preserves hair color, while your skin soaks up moisture and softness. Mild blend of botanical cleansers creates a dense, luxurious lather—gentle enough for the whole family. Exclusive L-Amino Acid complex strengthens hair and magnifies shine, for healthy, gleaming color and soft, glowing skin. Pure Lavender Oil light, fresh, naturally calming scent. Paraben & sodium lauryl sulfate (SLS) free; color & keratin- treatment safe. What I think: This is a mild, soothing shampoo that is good for all the hair in my family, from my 11-year-old daughter’s long hair to my aging 40+ hair! And it leaves it soft and doesn’t strip it. It also works well as a body wash.
Freshly scented and richly moisturized RITUALS bath and body works will pamper skin this spring! Wu Wei Calming Cream Bath ($19 USD) — Experience a sense of ultimate relaxation in this soft, fluffy foaming cream bath. Your skin will feel nourished and silky soft. Enriched with calming White Lotus and Green Tea, the symbols of purity and spiritual growth. Mei Dao Rich Nourishing Body Cream ($29 USD) –Rich, creamy moisturizer for nourishing the skin. Leaves the skin feeling silky soft. Combines the gentle fragrance of White Lotus with the nourishing properties of Yi Yi Ren, traditionally used in Chinese medicine. What I think: Both of these products smell amazing! So fresh, I love the scent of white lotus. The cream bath gives lots of foamy bubbles and is really fun to use and I like to use the body cream after my bath because it locks in the moisture. Learn more and purchase at http://www.us.rituals.com. 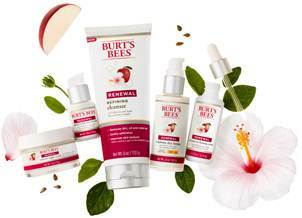 Burt’s Bees Renewal Collection — Wrinkle-smoothing White Hibiscus and intensively hydrating Apple take center stage in our Hibiscus and Apple Rejuvenating Complex. In our Renewal Face Care line, this remarkable interaction plumps up cells to help reduce the look of lines and wrinkles, improve firmness, and make skin appear smoother and more hydrated. What I think: I have been testing the cleanser. It is a gentle way to clean the face morning or night and I don’t have to worry about my skin drying out when I use it. I love that it has natural ingredients and is so good for my skin. BRETT BROW Duo–Shade Brow Powder in Dark Brunette ($18 USD) — Can be used dry or with a damp brush to create a perfectly blended brow shade for maximum definition. BRETT BROW Dual–Sided Eyebrow Brush ($18 USD) — Part angled brush to fill in sparse brows and part blending spoolie to feather brows, creating the ultimate brow tool. What I think: I was happy to receive these new products for review. I found that the brow powder was the perfect color for me and covered really well. The angled side of the brush laid the pigment down very well and the spoolie blended the product perfectly! These will be available at Sephora stores in April 2015. Do you know of any great new products I should review or ones that you are loving now? Leave a comment and let me know!